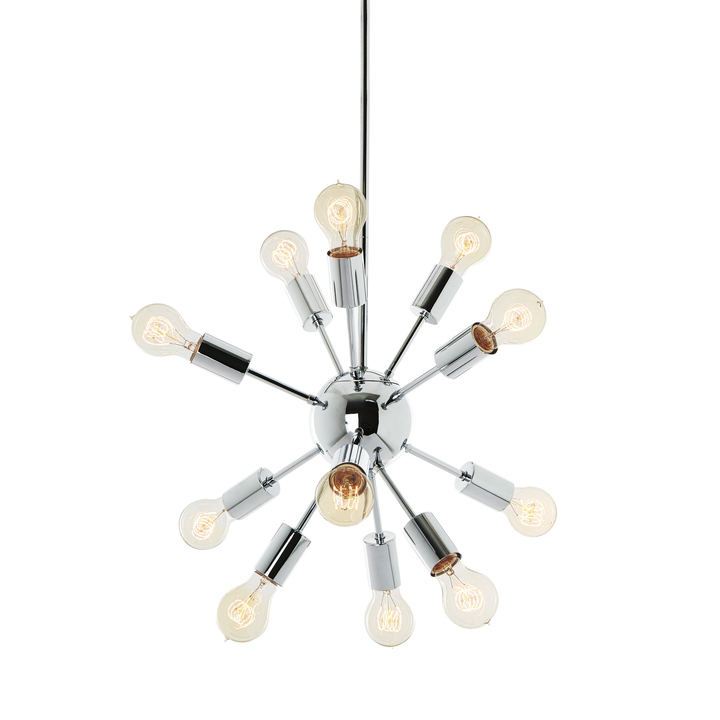 There are only 24 available of the 12-Light Pewter Sputnik Chandelier. Your selected quantity has been adjusted. This quintessential, radial fixture is our homage to the late, great Gino Sarfatti, Italian designer and pioneer of the mid-century modern movement. The Sputnik is the embodiment of Sarfatti’s design principles as they apply to lighting - practical, yet beautiful and always multi-directional. 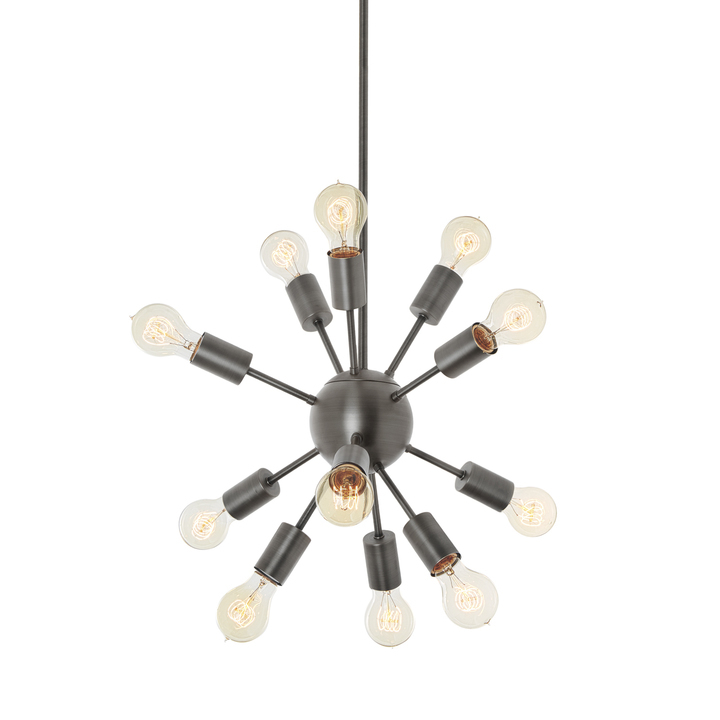 Ours features twelve slender arms radiating from a central orb in a versatile, pewter finish. For a statement centerpiece, suspend over a dining table or the center of a living room to add dimension, texture, and a little bit of history to your home. Extremely happy with this chandelier! Order came quickly, no damage, and it looks great in our dining room! We installed this in our foyer and it just change the whole ambiance. I canвЂ™t comment on the installation process since I didnвЂ™t do it myself. We got the Edison lightbulbs together and it does light up very well without being overbearing. ItвЂ™s the practically the center of conversations whenever someone comes to our place. Well worth it! I received this item, as my very first order from lights.com. The quality and construction are amazing. 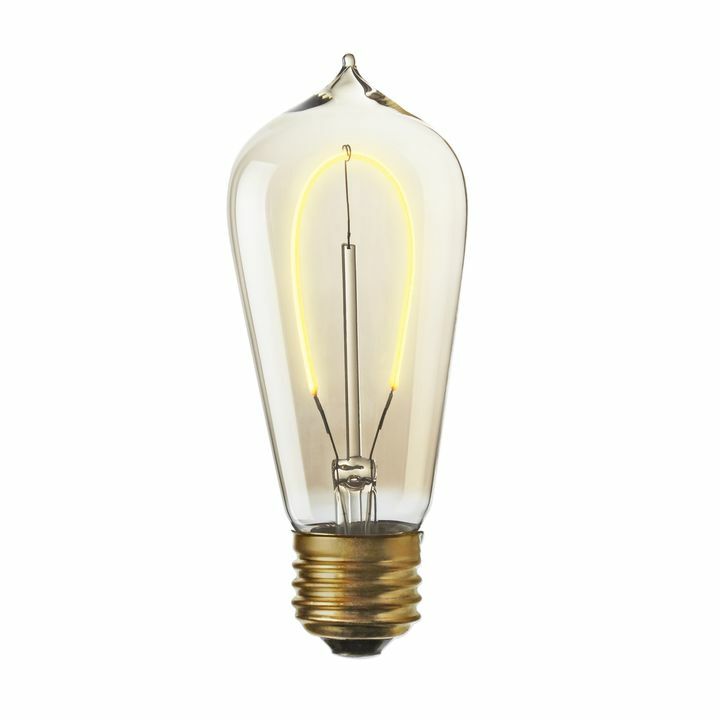 It is the perfect size for my 10x12 room, especially since I used the Edison-style tube bulbs. I would gladly order from here again. The color is as shown, as well. 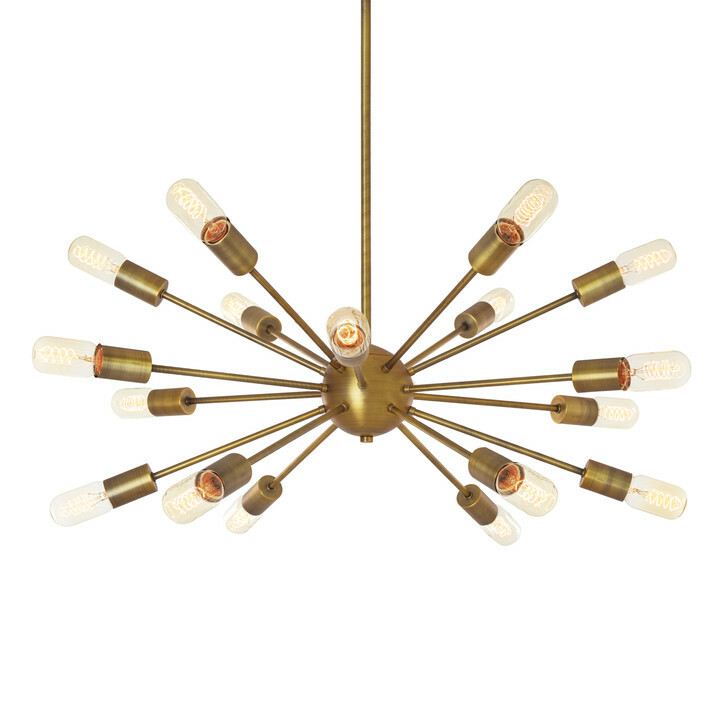 The Sputnik lamp looks great from a distance. Up close, you can see some blemishes in the metal. I hung this above a stairway and you can't really get close enough to see the flaws, so it works for me even though it might not work for everybody. I'm a little disappointed in the Williamsburg bulbs. The glass on some of them turned brownish after first use. Now I have some bulbs that are clear and some that are noticeably brownish. I wish they all matched. I have been asked numerous times if this is an original time period piece, only to shock people when I tell them it's new and from Lights.com. It was affordable and looks like a product that costs a lot more! I love it! I love my light and it looks perfect in my dining room! 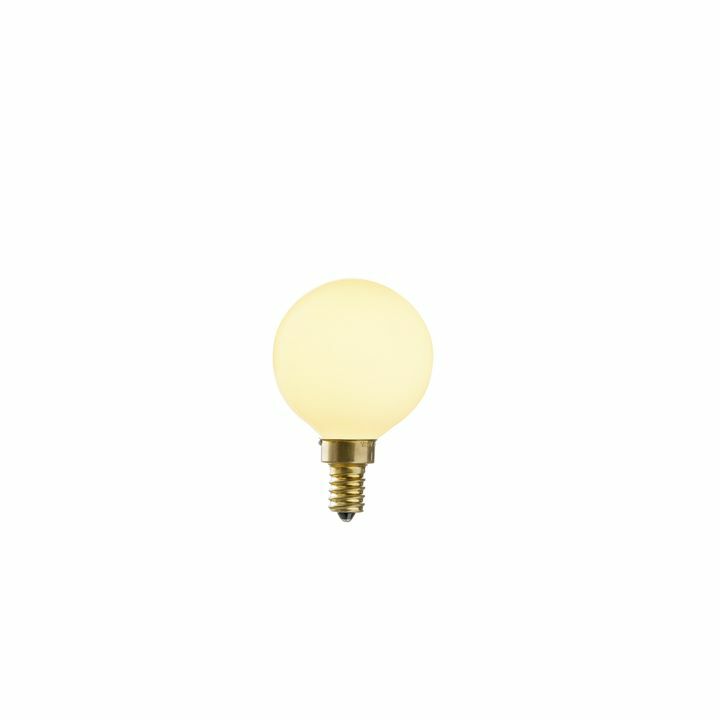 The color is perfect, the size is just right, and 12 bulbs is plenty bright! I love this chandelier. I had been looking for a while and am so happy to have it installed. It was easy to put together as well. Five stars! Great and looks even better than I expected! 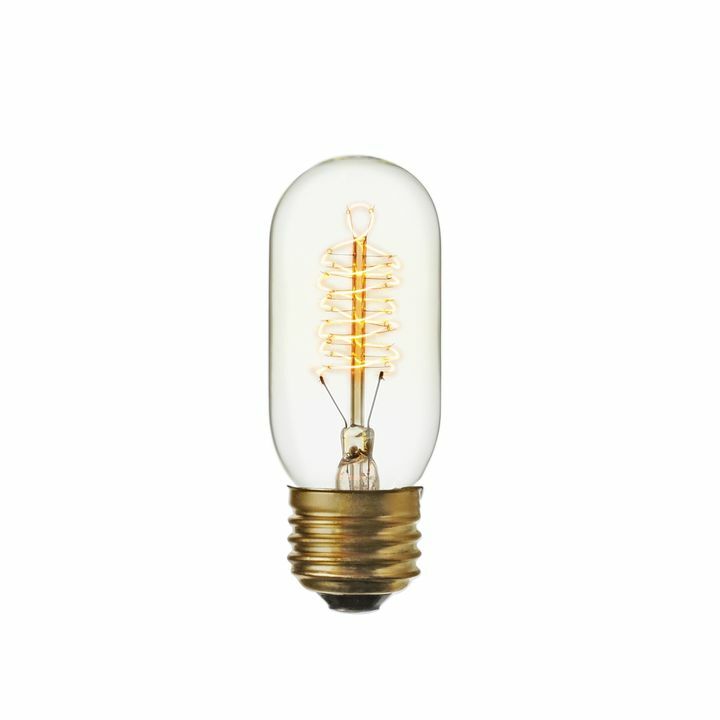 ordered the Sputnick light and bulbs. It came fully assembled and looks great! Quick delivery. Item as pictures. I love this light! It was everything I wanted, and then some! The ordering process was easy, and the item shipped right away. Prior to my purchase I had a chat session with one of the reps, as I was a bit confused by the dimensions of this light and rod lengths, because the description had one thing and the Q&A section had another. The information I was told (2-10.25" rods) was incorrect. It in fact comes with 4 (like the description states), in various length, which turned out to be better for us. Also the instructions are worthless, but husband and I did not have trouble installing it ourselves. Overall, very satisfied - can't beat the price as well. Any chance I can turn the Sputnik into a plug-in? I live in a loft and have the perfect place to hang it, but I don't have the ceiling mounts/wiring. Please let me know! It's not easy, but it's possible for an electrician to modify the pendant to work with a plug. We don't recommend it because these kinds of modifications void any warranty. How can I mount this to a sloped ceiling? 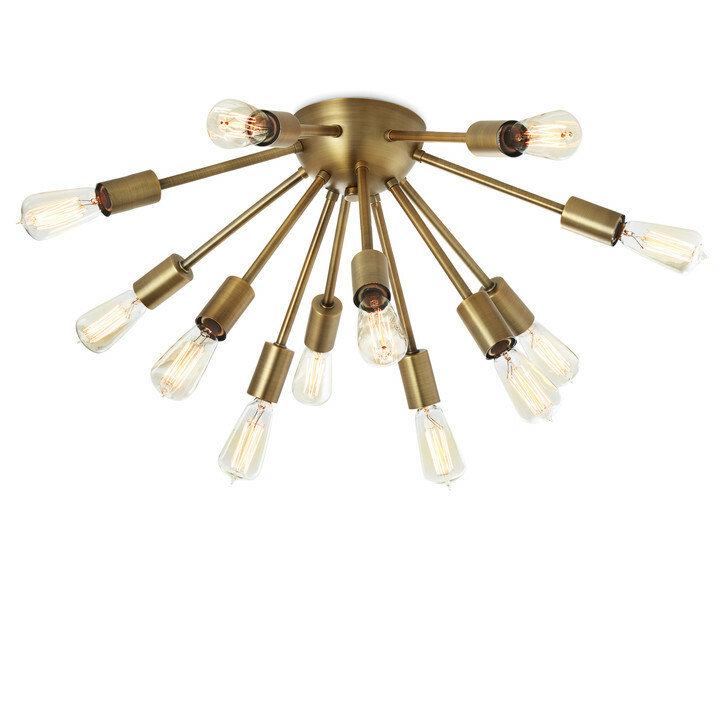 The Sputnik 12-Light Chandelier comes with a sloped ceiling adapter already installed into the included canopy. That adapter works with most ceilings, but if you want to be sure that it will work with your specific ceiling, we recommend sending the angle measurements to CS@lights.com and we'll check to be sure. The minimum height listed under specs, is that measuring where the whole chandelier will end once hung, or is that measuring where the hanging pole ends and the chandelier begins? We have a tight space for this fixture! Thanks for your time! 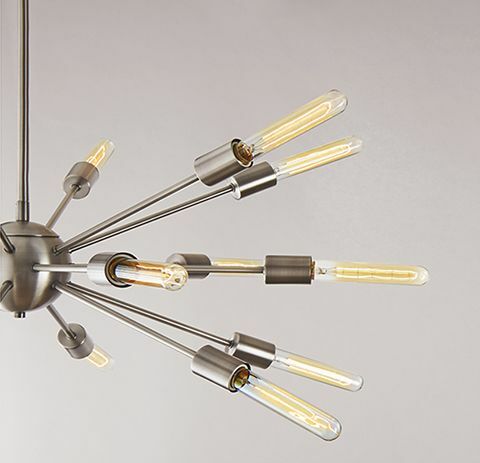 The minimum height listed under the specs for the 12-light Sputnik is indicating the height from the bottom of the fixture to the canopy. What is the shortest length this light could be hung? The minimum height for this 12-Light sputnik is 24". Is this fixture dimmable? Thank you! Yes, this fixture is dimmable. I dont want this light hanging low? How low does it hang and also can that be adjusted? Each pendants stem is comprised of one 6", two 12", one 18" twist-off segments for simple height adjustments. In total the stem would hang down 48 inches. Hi we do, email cs@lights.com and someone will email you a manual. 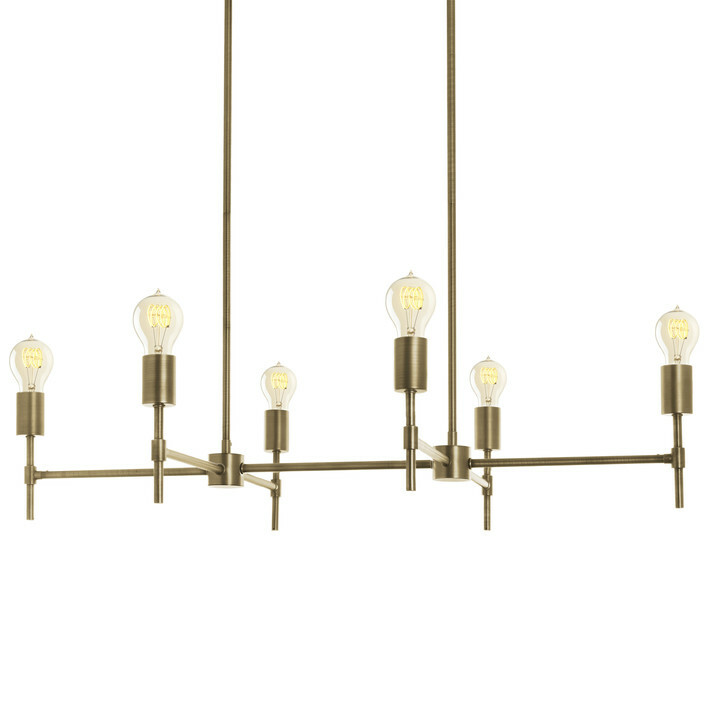 Hi there - I would like to order this fixture for a bedroom (12'x11') - would the small size suffice? It should, I could see the medium at 47" inches without bulbs being a little to large. Hi, I love the lamp, do you offer any industry discounts? Depending on the volume of your order, we are able to create individual quotes for bulk orders of 6 units or more. OR you can sign up for our mailing list to receive 10% off coupon code in your inbox. Purchased from amazon; have yet to install it... Does this have any sort of warranty? thanks! Amazon has a 30-day refund policy. Our limited replacement warranty for home lighting is 1 year. What is the minimum amount of hanging space required for the small and medium size 12-light sputnik pendant from the ceiling base to the bottom of lowest hanging bulb? I live in a small Manhattan apartment with 8 1/2 feet floor to ceiling height. I think I only have about 22"-24" of appropriate hanging space for a pendant light. Can you please advise? Thank you! It's 29.5" in total but the 20.5" stem can be unscrewed and removed half way through giving you an extra 10" to play around with which should suit your needs perfectly. Is the stem (20.5") adjustable? Half way through the rod there is a spot where you can unscrew it to make it half it's size, but no, sadly it is not adjustable beyond that. Hi, I was interested in ordering this light and talked to a service rep last week about it. I was contemplating on ordering it then or in a few weeks - when it would be closer to it's ship date. He assured me that I could order it anytime and the price nor the ship date would change. It is now 25 dollars more. Why is this? Will it be going back down? I was interested in ordering it at $135... not $160. Hello, these sputniks have been raised in price since production prices were also raised. The costs during this production were higher so our retail prices were raised as well. 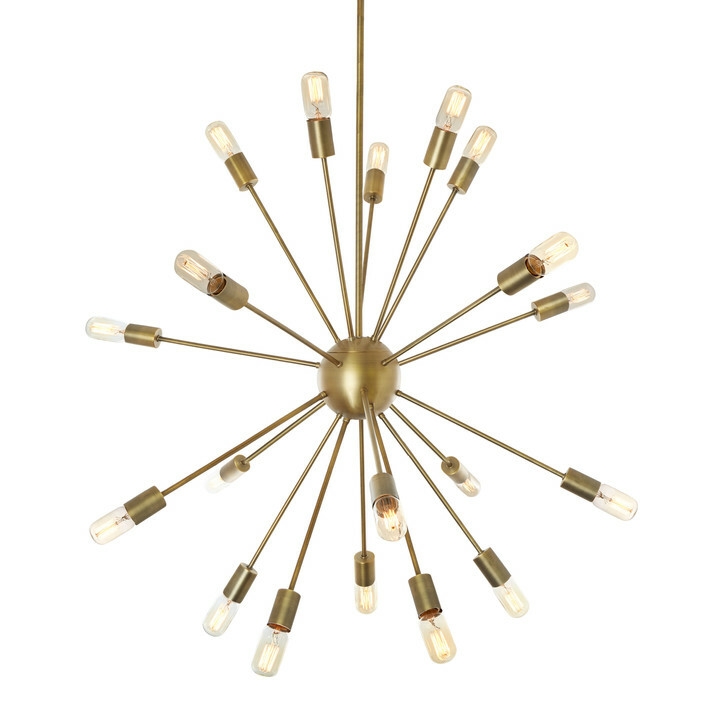 I will be ordering one of these Sputnik lights for my entrance in a modern home we are building. Which size do you think would be most suitable? The ceiling will be 11-12 ft high in the entrance and 9ft throughout the rest of the house. Is there a prop 65 warning on this product? Ok to use in a bathroom? 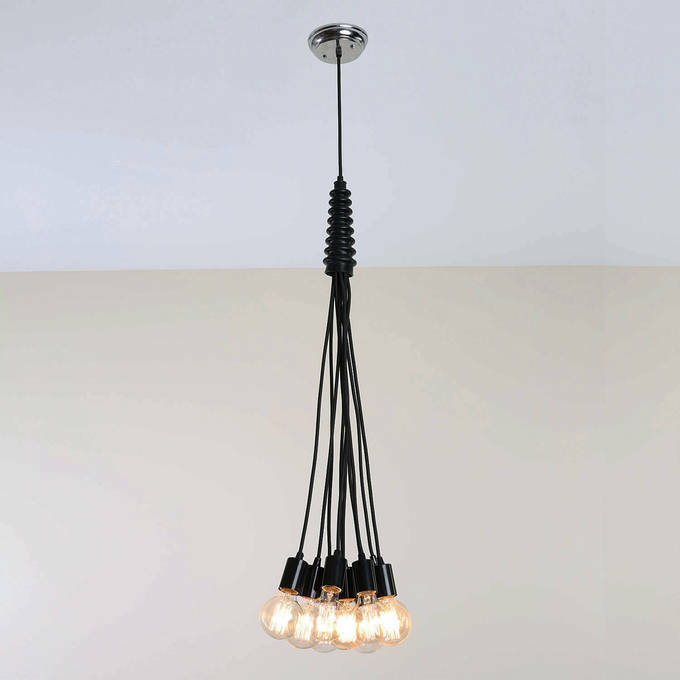 The Sputnik pendant collection can be used anyplace that can support hardwiring, but please note that in a bathroom, excess moisture and steam can wear on your fixture. I would not recommend it, but suggest that you contact your electrician to confirm. 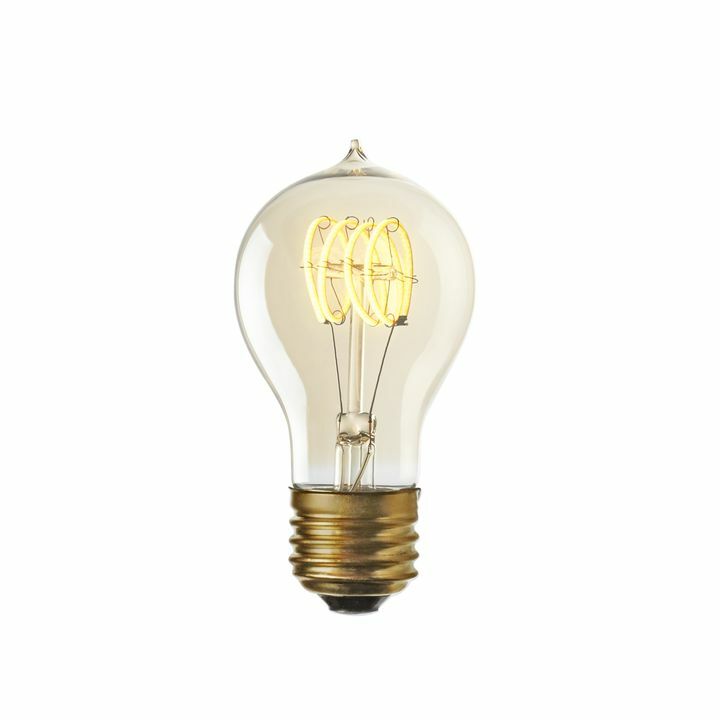 Can I use dimmable bulbs with this light fixture? What about dimmable LED bulbs? 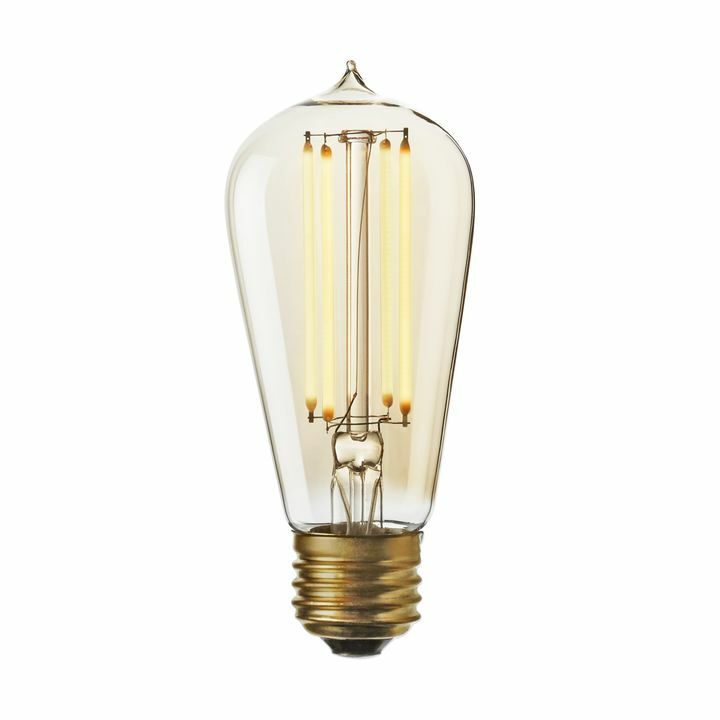 The 18-Light Sputnik is dimmable itself and works great with both incandescent and dimmable LED bulbs. Not all dimmers work with all dimmable bulbs, so we've provided a list of dimmers that we have tested to be sure they work with our dimmable LED bulbs. Click on the Product Specifications tab for an up-to-date list of compatible dimmers.